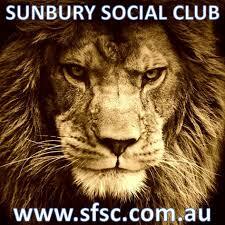 Sunbury Cricket Club are calling on expressions of interest for positions of Senior Coach and players for the upcoming season 2017-18. It is an exciting time for the club being on the verge of ultimate success. We offer an excellent opportunity for a playing Senior Coach. Experience is preferred however not essential. A generous package will be able to be negotiated for the preferred candidate. SCC is currently a first grade McIntyre Cup club in the Gisborne and District Cricket Association. This is the perfect opportunity for a senior grade coach and players new to the area, sick of travelling to town each week or for those wanting to make a stamp on the competition in a team with some great players. Our club also prides itself on its strong Juniors program with an emphasis on parental involvement. Sunbury Cricket Club fields four junior teams. It is this commitment to junior cricket and the promotion of healthy activity in a family environment ensures a successful future for the club and an attractive environment for new families to the area. We are the envy of the competition being based at the Clarke Oval which is complemented by newly upgraded players facilities, brand new club rooms and we also maintain an agreement with the Sunbury Bowling Club to host major functions and activities.